When I published my first China Glaze Riveting review, I knew something was missing : a mattified version of China Glaze Riveting! And truth is I got asked that exact question minutes after sharing the post on Twitter. So of course I had to reswatch it and please believe me it's a stunner! If you care about formula and application, please refer to my original post here. Don't you love it? It's amazing how a matte topcat can completely change your nail polish! So awesome matte. Absolutely doing this mani when I finally get Riveting. That actually looks pretty as matte! Nice! It looks like beautiful stone. Love it, absolutely love it matte! I bought this color a couple days ago but haven't worn it yet. I can't wait to try it now and I will definitely try it matte. Amazing! 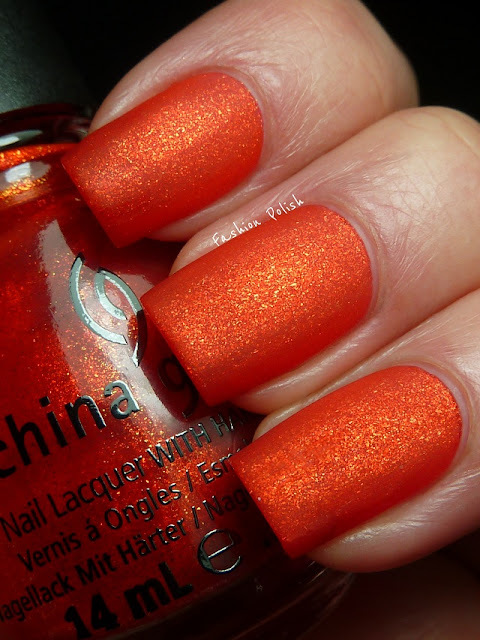 That became my favorite China Glaze and it's already on my wishlist! I love this matte!! So stunning! I think I like it better matte. This is on my list of polishes to buy from that set. It looks awesome. Thanks for the matte swatch! You matted it! it totally rocks!! Im so glad you did it. I didnt order online from Sallys but I will be on the lookout for this one.. definitely. Wow, this is gorgeous! I think I like it better matte. it looks so good like that! Wow so pretty! Makes me want riveting more!! 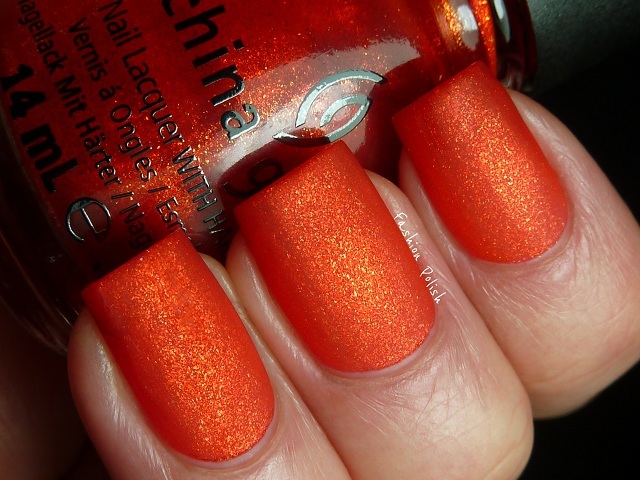 Holy cow, this polish needs to be in my hands right now! I never knew it will look this stunning matted!! <3! Ohhhh... it's fabulous both ways! And I'm not even much of an orange girl. You are so much braver than I am right now. I am beyond stunned at Riviting without putting matte on it. I cannot stop looking at it in the bottle and on my toes right now! i think i'm to have to run out and get a matte topcoat! This looks even more gorgeous matte! This looks even better mattified! Such a pretty colour. This looks absolutely amazing mattified!